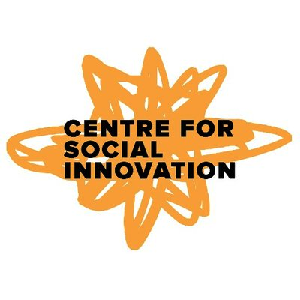 The Centre for Social Innovation would like to invite you to Impact Fest on November 21st starting at 3 pm at CSI Annex! The world is converging to advance the Global Sustainable Development Goals. Social enterprises are providing choices for you to make a positive impact on our planet. Join us and discover new products and services that put people and planet first. Social entrepreneurs will connect with companies who are interested in your product or service offering, meet new potential collaborators, mentors, co-founders, funders, volunteers, and friends! Take part in workshops, group activities, discussions and networking. Spots are limited so RSVP now to attend. It all starts at 3pm on November 21 at our wheelchair accessible space, CSI Annex at 720 Bathurst. Explore the CSI Annex ground floor and meet social enterprises in our accelerator programs as well as members of CSI that align to the Global Goals! Featuring BioPolyNet, Civic Hall, CLARO Partners, D-Box, FreshRents, FreshRents, Futurepreneur, Good Foot, Kinjunxion, MaRS SVX, OCIC, Peace Builders, Project Neutral, Raising the Roof, Ripple Farms, Ryerson SVZ, Two-Shot, UnwrapIt, VBEC, Women’s Healthy Environments & many more! Join us at the ImpactFest Marketplace where you can shop and browse from CSI Member vendors! Each of the below hour-long workshops will take place twice, once at 3:15pm and again at 4:30pm. Stick around after your workshops to enjoy drinks (alcoholic and non-alcoholic), live music, the marketplace, and friendly participants from across a spectrum of sectors. Best of all, it’s all free. Another way CSI seeks to amplify our members success. Spots are limited so RSVP now to attend, and to receive a full list of all the workshops and activities ahead of time so you can plan your time at Impact Fest! Please note that this takes place at a wheelchair accessible venue. ImpactFest is supported by the Ontario Network of Entrepreneurs, Social Enterprise Partnership. Visit the social enterprise ToolKit onSoshent.net to learn more.